A pet advisory group has said that there’s increased interest in how to buy pets in the run up to Christmas. PEOPLE ARE BEING warned to ensure that they’re buying pets from a reputable and certified organisation if shopping online. Animal welfare groups have asked people to ensure they ask the right questions as the interest in pets for sale online surges in the run up to Christmas. The welfare organisations, which include the ISPCA, Dogs Trust and the Irish Blue Cross, said that there’s a set of minimum standards that ensure animals are protected ad illegal activity is pursued. The Irish Pet Advertising Advisory Group (IPAAG) has been targetting websites that breach these standards, where an organisation “where they were acting illegally and compromising the welfare of innocent animals to make a quick profit”. 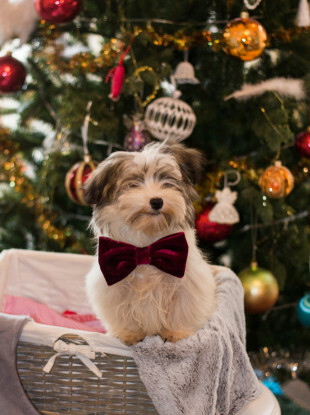 IPAGG says that last year, there was a surge of people looking for advice on how to protect their purchase of a pet in the run up to Christmas (with a particular interest in puppies for sale). Its chairman Dr Andrew Kelly said that although it’s preferred if people buy their pets from a “reputable rescue organisation”, they understand that a lot of shopping is done online. Have you considered adopting a pet from your local rescue centre first? Are the facilities clean and does the litter of puppies appear to be alert and healthy? You should be able to handle the puppies freely under supervision. Ensure any new pet is old enough to leave its mother – puppies need to be at least 8 weeks old. Ask the breeder if they are registered under the Dog Breeding Establishments Act 2010. If the answer is yes, ask to see the certificate issued by the Local Authority. Read the full checklist on the IPAAG website. Email “People advised to 'do their homework' before buying pets online”. Feedback on “People advised to 'do their homework' before buying pets online”.